College campuses, like college students, are a work in progress. Consider Furman University in Greenville, S.C.
Long known as a leader in sustainable design—offering a major in sustainability science, hosting the David E. Shi Center for Sustainability and helping spearhead construction of Cliffs Cottage, a model home that demonstrated green construction materials and methods—it’s no surprise how the college would move forward when it decided to renovate the student center. 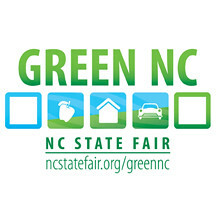 Furman would go green. Those efforts extended to the installation of StormPave® permeable pavers by Pine Hall Brick Company in a new and expanded outdoor space as part of the $6.75 million renovation of the Trone Student Center. The renovation was an overall update to the existing building and the addition of 6,000 square feet. Outside, the new permeable pavers blend with the same permeable pavers that were installed at the Shi Center six years ago. Interestingly, at the student center, they blend in well where they are laid alongside the conventional English Edge® pavers, also by Pine Hall Brick Company, that were put in a number of years ago. Richard H. Kapp, P.E. S.E. knows the building well. His firm, Professional Engineering Associates Inc. of Greenville, S.C., covers both civil and structural engineering. It has worked on the 1970s-era student center through several renovations, including an addition in the 1980s and two other additions since then. In the most recent addition, the goal was to add a gathering area on one level above Swan Lake, while keeping an existing patio of conventional pavers, laid atop a concrete slab, in place. The permeable pavers in patios and pathways and a composite deck are atop a sand-and-gravel system that filters stormwater before it reaches an outflow pipe underneath, which then drains to Swan Lake. Kapp said that water quality regulations have always been around, but have been emphasized more in the past decade. In the past two to three years, more stringent permitting has come into play in South Carolina that has required that design plans match environmental goals. Engineers are required to consider water quality, whether it is free of pollutants that are washed from the surface and deposited into a stream or river, and water quantity, which is whether the system is designed to handle rain without flooding and causing property damage or loss of life. “That’s one of our jobs: to protect the public,” says Kapp.